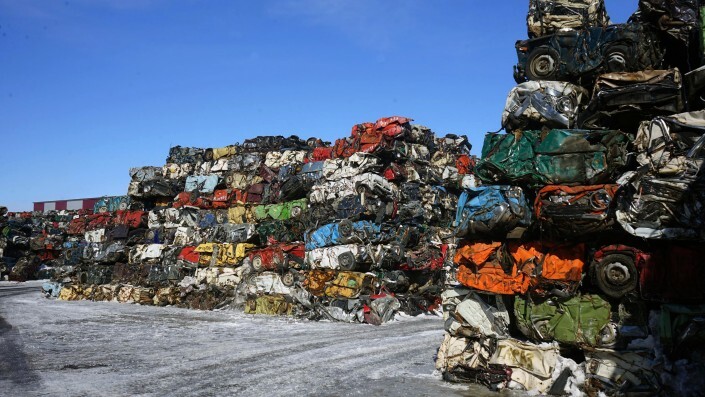 ASTANA – More than 58,740 vehicles have been collected in Kazakhstan since 2016 as part of a nationwide government campaign to collect and recycle scrap vehicles. The goal is to recycle 250,000 vehicles by 2021. Seventeen collection sites were established across the country. Collected vehicles are crushed to form massive bricks and later shipped to a processing plant in the city of Karaganda. It is the first plant of this scale on the territory of Central Asia. Members of the public who turn in their old vehicles can receive monetary compensation depending on the auto parts present. Compensation ranges from 48,000-150,000 tenge (US$300-500). They can also receive a discount certificate, which they can apply towards the purchase of a new vehicle assembled in Kazakhstan. The maximum payoff for a passenger car is equivalent to 315,000 tenge (US$1, 000) and for trucks and buses 650,000 tenge (US$2,000). An additional bonus is that certificates can be combined and transferred between individuals. Approximately 11,500 discount certificates have been distributed. “I have driven my car for so many years now, but everything has its expiration date. I could have made repairs to it, but who knows what can happen on the road, what if something fails. That is why I decided to turn in my car. 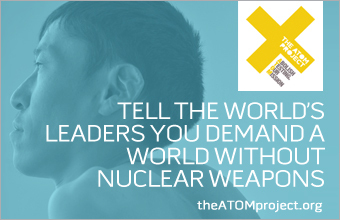 I don’t want to risk the lives of my loved ones,” said motorist Aidar Mukhit. Materials from the cars are divided according to characteristics into ferrous and non-ferrous metals, plastic, glass and rubber. Motor oil and other fluids are converted into fuel. Produced metal is supplied to still mills in the Karaganda region. The programme is expected to produce 23,000 tonnes of metal per year from recycled parts. According to the Tengrinews, in Kazakhstan, out of 5 million cars, almost a quarter were manufactured during the Soviet era. So the programme seeks to modernise Kazakhstan’s automobile fleet with the support of the local automotive industry.